The development of the FSM was a natural outgrowth of Scott's early research into lucid dreaming. 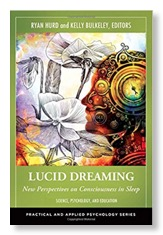 As a therapist hoping to employ lucid dream induction as a healing modality, he initially found that only a very few of his clients were successful in inducing lucid dreams. 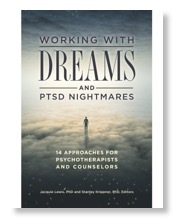 But in working with "ordinary" dreams of his clients on a daily basis, Scott discovered a fact first noted by Ernest Rossi in his seminal book, Dreams and the Growth of Personality—that dreamers exhibit reflective awareness and make choices in virtually every dream, but that our traditional approach to dream interpretation overlooks this fact by placing so much emphasis on interpreting the visual imagery. 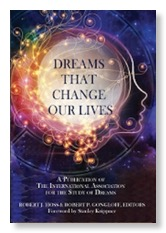 In shifting his attention to the dreamer's responses to the dream, and the interactive process that is clearly evident in most dreams, Scott introduced an altogether new approach to dream analysis that has come to be known as the FiveStartm Method. Rather than treating the dream as principally a "message," the FSM treats the dream is a cocreated experience, in which the dreamer plays a crucial role in its outcome. By focusing on the dreamer's responses to the dream, the FSM becomes especially congruent with modern psychotherapy, in which a client's feelings, choices, beliefs and reactions remain central in the pursuit of change. Rather than leaving the client "on the sofa" as a mere spectator of the dream drama, the FSM focuses primarily on what the dreamer did and could have done in the original dream, and how new responses can transform future dreams and parallel waking scenarios. 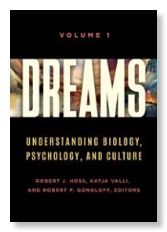 Commensurately, such a dreamer-focused approach treats the dream imagery as inherently rich, autonomous, and mysterious, and thus refrains from reducing the dream imagery to what is already known. In using the FSM, the dream work facilitator initially assists the client in becoming aware of aspects of the dreamer's response set that are clearly present in the dream, but which are typically overlooked. As such, the FSM avoids introducing an "expert" perspective on the meaning of the dream imagery or the overall dream. By illuminating and troubleshooting the dreamer-dream interactive process, and by employing methods of imagery analysis that are dreamer-driven -- such as Jungian amplification, Gestalt roleplaying, and a groundbreaking approach to metaphor analysis -- the FSM remains true to the noninvasive, collaborative ideal of modern psychotherapy, and thus fits comfortably within a variety of schools, including Jungian, cognitive, existential, person-centered, Gestalt, Reality, systemic, feminist, and Solution-Focused.